Is Honey Vegan? Poll Results and Your Comments! Why the Poll? I ran this poll because like many people, the issue still conflicts me. Early on in my blog I would add agave/maple and/or honey options in my recipes. And I got a lot of emails saying that honey is not vegan. I never knew how passionate the non-honey eaters were about the issue until I started this blog. So being incredibly curious, I decided to post this poll. Not a scientific poll by any means, but I find the results interesting. But the comments are amazing, thoughtful...and entertaining. "Most vegans do eat honey, even though it's not technically vegan. I agree with Gregor--the honey issue makes us look foolish. 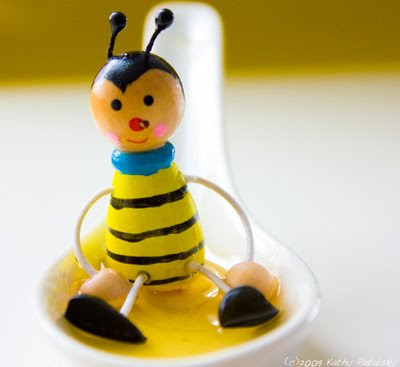 There are good reasons to not eat honey but it should not be a prerequisite for being vegan if we want a vegan world." 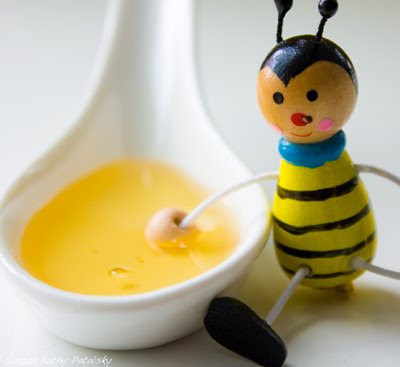 "My not eating honey or any other animal product has nothing to do with the cuteness or icky factor. 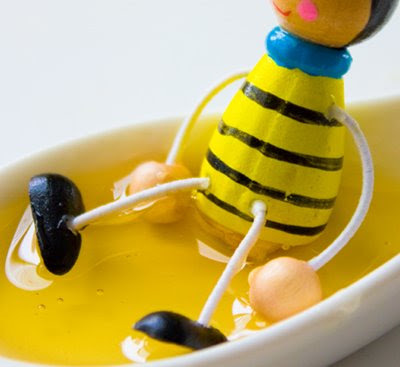 Bottom line is: honey is an animal product, produced by the bees for the bees. Humans have no place in this equation. It is an animal product, just as much as milk and eggs are. Additionally honey isn't vegan according to Vegan Society, that coined the term. I might sound picky, but hey I cant really tell anyone what to eat, but the sensible thing would be not to label ourselves something we're not. I don't understand why some fish & chicken eating ppl call themselves vegetarians. Or why some so called vegans eat eggs... It's really making it more difficult for the rest of us when ordering veg*n in a restaurant. So please lets use proper labels or for those of you who find these labels inadequate- feel free to come up with new ones!" "Bees are disappearing at an alarming rate today, and we don't know why. Without these honey bees the plants we love to eat wouldn't be able to survive either! So I support local honey, which supports maintaining our bee populations and our local agriculture!" "By definition honey is not vegan...Vegan is not a slang term and I am personally offended by individuals who consume honey yet refer to themselves as vegan." Adam K.
".....you are stealing this honey from the bee. Do not make the mistake in thinking honey is a waste product or that these insects are not killed by the masses for their energy product." -Adam K.
"I believe we shouldn't farm animals or insects no matter how small" -Sarah M.
"If you eat honey, then your not a vegan (veganism = to the furthest extent limit exploitation of ALL animals - hence, honey isn't vegan). See the original Is Honey Vegan Poll post here.